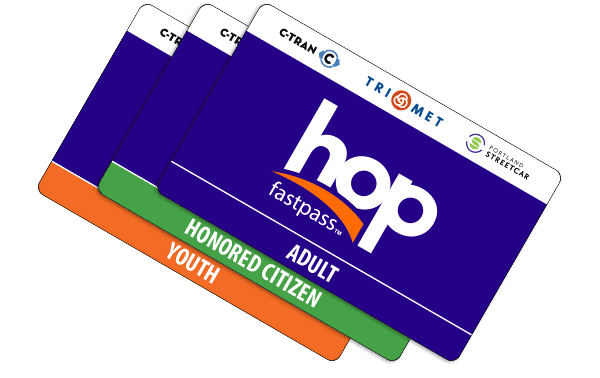 As announced last summer, TriMet retail partners Fred Meyer, QFC and Winco will transition to Hop Fastpass® sales only by October 15. The change brings an end to TriMet paper ticket sales at major grocers throughout the Portland-Vancouver metro region. Paper tickets for our LIFT paratransit service are the exception and will continue to be available at grocery stores. All of the grocers that formerly sold paper tickets – along with new partners – offer Hop fare cards. With Hop, TriMet has expanded our retail network to nearly 500 convenient locations throughout the metro area where cards can be purchased or loaded with fare. TriMet first announced plans for the retail transition to Hop sales only in May. The Hop card allows benefits that paper fares cannot, such as getting the best fare without the upfront cost of a pass, only paying for the rides taken, easy reload options and lost-card protection. Android users can get a virtual Hop card with all the same benefits. Learn more about Hop cards and other convenient ways to pay with Hop. TriMet is hosting paper ticket exchange events to help our riders easily make the switch to Hop. 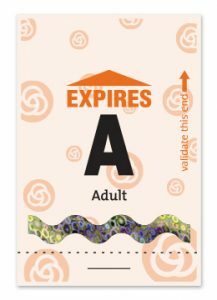 TriMet employees will be on hand to help transfer value from invalidated, foil-stamped paper tickets to a free Hop card. They’ll also answer questions and explain how Hop works. Wednesday, Oct. 17, 3:30 p.m. – 6 p.m.
Thursday, Oct. 18, 3:30 p.m. – 6 p.m.
Wednesday, Oct. 24, 3:30 p.m. – 6 p.m.
Thursday, Oct. 25, 3:30 p.m. – 6 p.m.
At an exchange event, we can accept up to $250 worth of unvalidated, foil-stamped Adult, Youth or Honored Citizen tickets. You can also go to the TriMet Ticket Office to transfer any amount of paper tickets to a Hop card. The ticket office, located at Pioneer Courthouse Square, is open between 8:30 a.m. and 5:30 p.m., Monday through Friday. We continue to accept cash for fares purchased onboard TriMet buses and at many ticket vending machines. Monthly passes, 7-, 14- and 30-day passes as well as tickets purchased on the TriMet Tickets app are still valid on our buses and trains, so use what you have, then make the switch to Hop. We are accepting paper tickets and passes for now, but Hop is the better way to pay. Our Hop electronic fare system has received national recognition for its cutting-edge technology, security and unique rider benefits. With Hop, you earn passes as you ride, so you get significant savings without the upfront cost of a pass. Hop ensures you’ll never pay more than the cost of a day pass in a single day, or a month pass, within a calendar month. When you purchase a paper ticket or pass, you pay up front. You may end up paying for rides you never take, or you may pay more than needed. Hop helps make our transit system more affordable and accessible, and it’s good for riding the Portland Streetcar and C-TRAN. Learn more about the benefits of Hop.